The crazy amount of things I use each time I put on makeup lols! Anyways ended up not using the falsies cause I didn't have enough time. Did my primer, foundation, eyeshadows, mascara and everything. 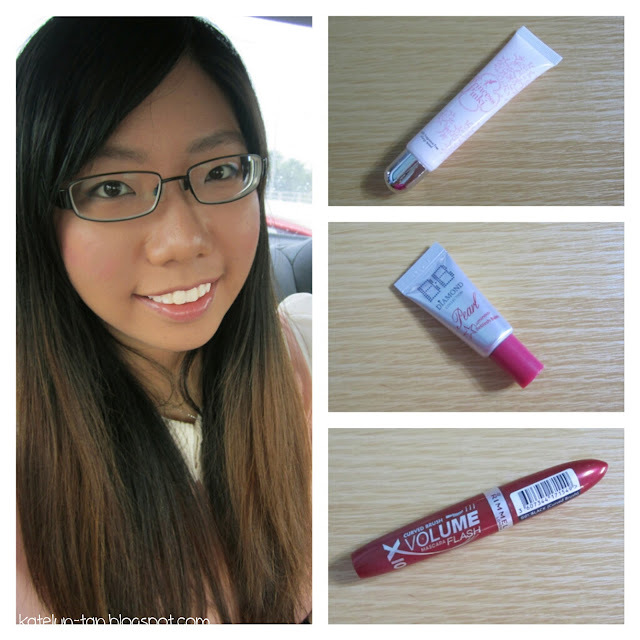 Used the Princess Pinki cheek tint/gel from my Sept'12 Vanity Trove! Hint: Don't underestimate the power of the clear gel. It becomes really really red after applying on your cheeks! I only used a pea size amount and I found it too red already. Apply it on the higher parts of both your cheeks and also on your nose. Blend the products with your fingers/sponge! My nose looks sharper right? :) Hehex. Super easy and I think anyone can do it by themselves! I decided to upload the photo onto instagram and joined their contest!